More than 560 wildfires continue to burn in British Columbia, causing air quality concerns across the province and into Alberta and Saskatchewan. On Tuesday evening, all of B.C. was facing “moderate” to “very high” health risks from the poor air quality, according to Environment Canada. Wednesday is expected to bring “high” health risks to most of the province, including Victoria, Kamloops, Prince George and Vancouver. The situation isn’t expected to improve until at least Thursday, when rain showers are forecast to arrive. Saskatchewan was facing a “moderate” risk on Tuesday; that level of risk is forecast to continue on Wednesday. 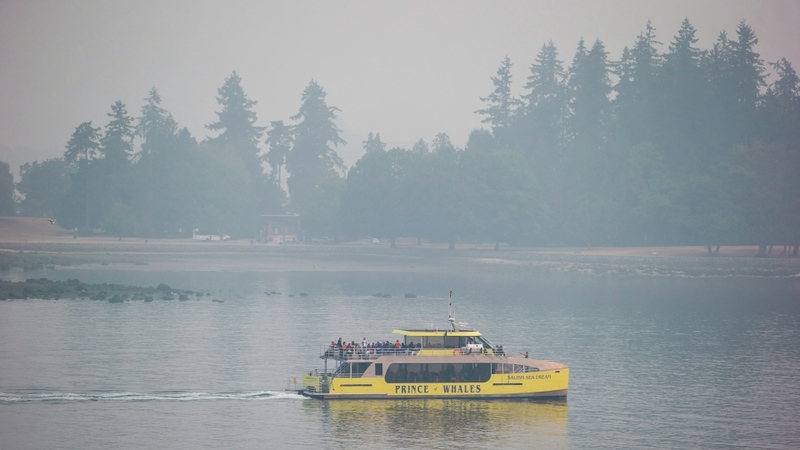 Smoke and haze has been causing diminished air quality across most of B.C. for nearly a week. A high risk level means air quality is poor enough that public health officials recommend people in affected areas should consider minimizing the amount of time they spend outside. 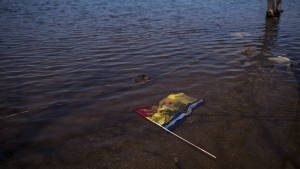 In Prince George, B.C., which was listed as a moderate risk, city councilor Garth Frizzell said residents were “really hopeful” that forecasts showing rain arriving later this week would be borne out, allowing the air to clear. More than 2,700 people subject to evacuation orders have been temporarily moved to Prince George. B.C. Premier John Horgan and federal Defence Minister Harjit Sajjan stopped in the city Tuesday as part of a tour of B.C. locations affected by the fires. The premier said the province’s second “tragic wildfire season” in a row had impacted peoples’ lives, public safety, wildlife and the B.C. economy. “We’re concerned … that this may well be the new normal,” he said. Many float plane flights along the B.C. coast were delayed or cancelled due to the smoke-filled air. The reduced visibility also posed a problem for crews working to bring the wildfires under control. Forrest Tower, an information officer with the BC Wildfire Service, said smoke preventing aerial reconnaissance and firefighting operations was the “biggest struggle” for crews on the front lines. “It seems to be that we’re going to be smoked in for another two or three days here,” Tower told CTV News Channel on Tuesday, from a camp near Shovel Lake. The Shovel Lake fire is considered to be the highest-priority of the more than 560 wildfires burning in B.C. as of Tuesday morning. Tower said Monday had been a “really successful day” for firefighters working at Shovel Lake and the nearby Island Lake fire, despite the challenges posed by smoke and ash in the sky. “They’re both holding within containment lines,” he said. Forecasts were calling for winds to pick up speed in the area Tuesday and Wednesday. Tower said strengthening winds were a concern, but firefighters believed they would be able to keep both fires from spreading regardless. Smaller fires also erupted in urban parts of B.C. on Monday. One broke out in the afternoon near the West Vancouver waterfront, while another brought firefighters to an area near a university campus in Abbotsford a few hours later. The majority of the large wildfires are burning in the north-central and southern interior parts of B.C., as well as the northern half of Vancouver Island, officials said.